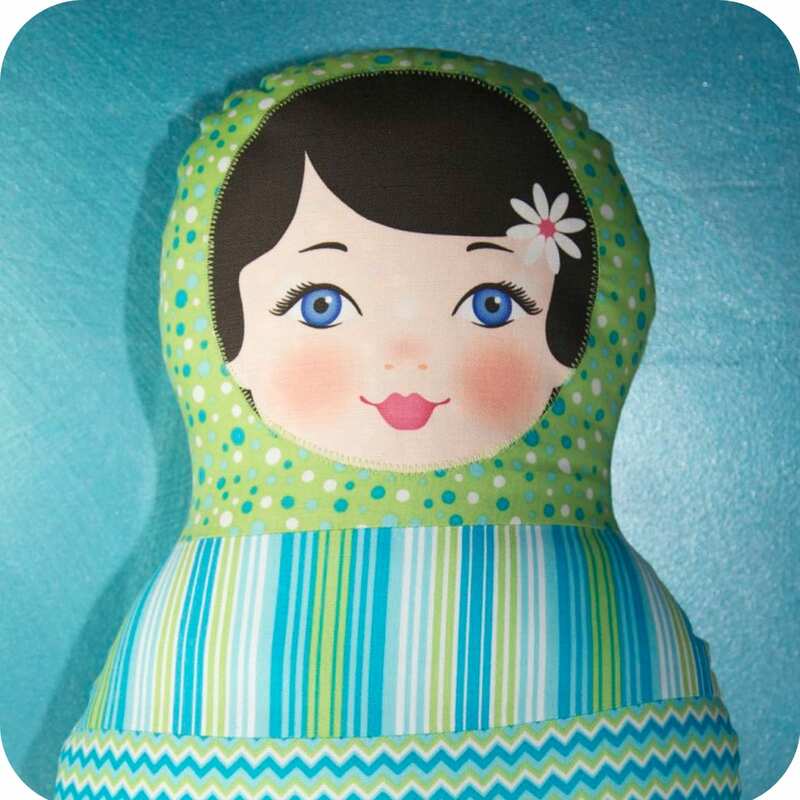 Home | Blog | Crafty projects for children; Ooshka Babushka Matryoshka Doll. Crafty projects for children; Ooshka Babushka Matryoshka Doll. “Planning ahead I made this Ooshka Babushka Matryoshka doll for my daughter to give to her good friend as a birthday present. Last year I made a little felt teapot for her so thought it would be nice to make something for her again this year. Whilst cleaning up my sewing room I found this pattern I had purchased from The Red Thread. 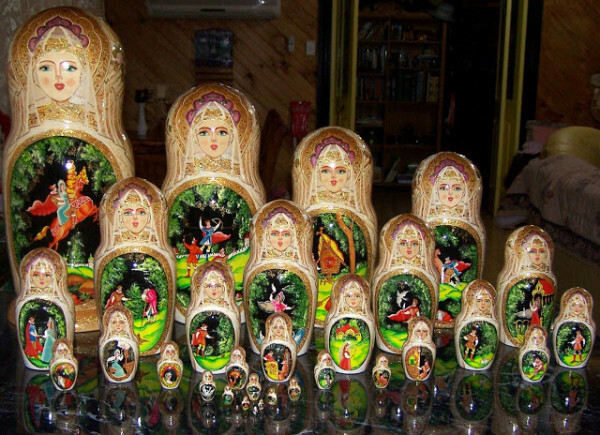 I love the beautiful Matryoshka nesting dolls from Russia and have seen some really sweet ones around lately. The pattern came with its own cute printed cotton/linen face panel. Hasn’t she got the prettiest face? I have a blonde one as well which I will make one day but Titi’s friend has dark hair so this one was perfect for her. Included are instructions to make your own face from felt so once you have the pattern you can make more than one doll and you can also purchase face panels separately. I had this bundle of fat quarters already in my stash which worked perfectly for her body. We wrapped her up with a few other little Matryoshka treats I had been collecting like a soap and coin purse and her new owner loves her. She was really fun and pretty easy to make so I encourage you to give the pattern a go if you’re looking for a homemade present for a little friend. It’s great when you’re organised enough to plan ahead for birthday parties with sweet little homemade gifts. Sometimes I only wish I had time to make something for everyone but there is only one of me and often not enough hours in the day”. Oh I want one for ME!! too Cute! Thanks for sharing this wonderful project. Love this doll and it would make a beautiful present! I wish I could be organised enough to plan ahead and make gifts. Oh I love it. I want to make my own too. Very cute craft project. My daughter and niece would love this. That’s very cute. I love these dolls. What a lovely gift! Very thoughtful. Goodness me, how adorable. I have a soft spot for Matryoshka dolls as I collect them. You’ve inspired me to get back to my sewing machine. I love the material you used. Thank you for showing her. How lovely! I’m a fan of homemade gifts.